When is comes to online marketing, many small businesses overlook the importance of keyword research. It’s one of the staples of SEM (search engine marketing) and the impact of doing it right can be huge. It can result in improved rankings in the search engines – even garnering a first page result on Google or Bing depending on your keywords. We’ll admit that keyword research is not as simple as some may think – but when done right, the results can be extremely rewarding. So we’ve put together this article or guide of sorts to help you better understand keywords and how they can help your business or website. Basically, keywords are the words or phrase people use in searches to find what they’re looking for. They can be as generic as “used cars” or as specific as “used Toyota under $2000 in Smalltown .” Keep in mind that generic keywords such as “restaurant”, “insurance”, and yes, “used cars” are extremely competitive (i.e. very expensive). This doesn’t mean all hope is lost if you actually sell these items – it just means you need to be a bit more creative and explore all the possibilities in your keyword research. Check the keywords successful competitors are using and come up with your own keyword variations based on that information. Make sure the keywords you choose are relevant. Nothing is worse than arriving at a webpage and feeling duped. If you type in “fluffy marshmallow sculpture of the Incredible Hulk” (don’t ask) and the site that comes up for those keywords sells desktop lamps, you would be very upset. Consider testing the performance of your chosen keywords by setting up a sample campaign in Google AdWords. This will help you determine whether your chosen keywords converts well or not. Use keyword research tools. Google Adwords has a great keyword tool that is free and very useful. These will help you collect important data about the best keywords for your site. 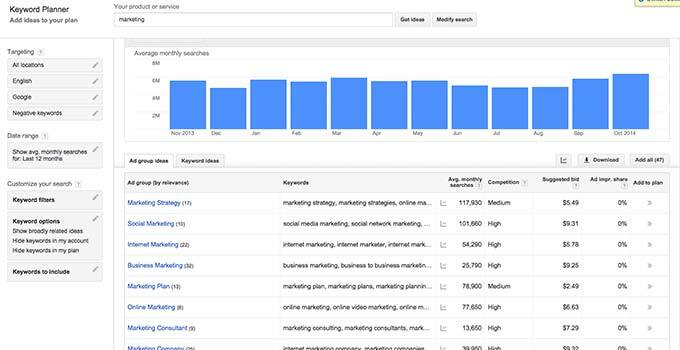 You’ll be able to explore tracking trends, get suggested keywords based on a certain brand or product and as mentioned above, discover the keywords your competitors are using. As you can see, keyword research should be an integral part of your online marketing. 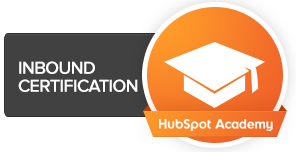 Not only can it reward you with high returns on your efforts, but it will allow you to learn more about your visitors and customers. When it comes to choosing the best keywords for your search engine marketing efforts, the priority is not about attracting the masses but attracting the right kind of visitors to your site. Want Content To Help Your Business Grow?